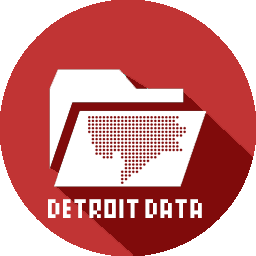 Thanks to redditor DetroitStalker for posting this great map! This map uses a very innovative visualization method with the increasingly wide or narrow pathways of traffic. The method has become popular again with transit planners (see GraphServer). This map is pre-expressways, so you can see the importance of Detroit spoke streets and public transit system. 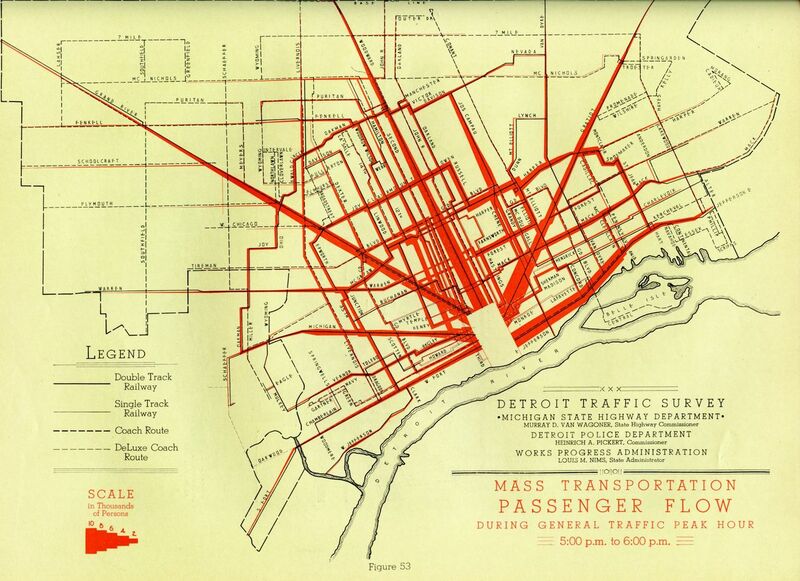 Great use of data visualization in the 1930s to understand traffic flows on the street railways.